BURBANK, CA, August 22, 2013 – Ending weeks of speculation, Ben Affleck has been set to star as Batman, a.k.a. Bruce Wayne. Affleck and filmmaker Zack Snyder will create an entirely new incarnation of the character in Snyder’s as-yet-untitled project—bringing Batman and Superman together for the first time on the big screen and continuing the director’s vision of their universe, which he established in “Man of Steel.” The announcement was made today by Greg Silverman, President, Creative Development and Worldwide Production, and Sue Kroll, President, Worldwide Marketing andInternational Distribution, Warner Bros. Pictures. I’m not going to lie. This new Superman flick helmed by Zack Snyder and produced by Dark Knight Trilogy director Christopher Nolan was my most anticipated movie of this year. I’ve been a fan of Snyder’s work since his debut film Dawn of the Dead and his comic book adaptations have been nothing short of marvelous. I even have a soft spot for Sucker Punch despite all the critical hate for the film (though it’s understandable that people wouldn’t like the PG-13 theatrical cut as some of the film’s finest scenes, including the ending, are missing from that version). So, when I heard that the man who brought Watchmen to the big screen was behind the latest Superman film, I couldn’t help but be excited. Did the film live up to my expectations? To answer that, I suppose I’ll have to let you know what I was expecting from this new feature. With Christopher Nolan being the film’s producer, I was expecting something grittier and more bound to the real world than past Superman films. While I certainly enjoy the Kryptonian’s past film outings (excepting Superman III and Quest for Peace), they’re enjoyable on different merits than what I want from a rebooted franchise. I didn’t want a brightly colored cotton suit this time around; I wanted something that felt alien and powerful. Man of Steel delivers on that count. Superman’s new outfit is more than just a red and blue costume used to identify the character, it’s a suit of armour bearing his family crest—a symbol of hope. He appears as more than just a guy parading in pajamas beating up bad guys; he’s a warrior from another world and our last hope for survival. Superman in Man of Steel truly appears super. The films narrative is not its strongest point, but it’s an origin story that we are all familiar with, but with the universe retooled for a darker, grittier tale it’s a necessary evil. The only problem with this is things feel too condensed. The Krypton we see in Man of Steel is unlike any other version of it we’ve seen on film. Russell Crowe as Jor-El is fantastic and I would have loved if they spent a little more time leading into the destruction of Krypton. The world truly felt alien even with the sociopolitical commentaries peppered in the prologue and I wanted to see more of that alien culture. Expanding the film’s prologue would have given a greater sense of loss, I think, than the simple “this is Krypton and it’s dying” story that we’re given. But, as the movie presses on, it’s understandable that they condensed some things as the film’s runtime is 2 hours and 20 minutes. Not the longest film, but summer audiences don’t always want to spend three hours crammed in theatre seats. Still, I would love to see more exposition in certain areas and am holding to hope that a director’s cut of the film will address this issue for me. Man of Steel is, in its entirety, an origin story. The whole 143 minutes of the film are dedicated to the birth of Superman. There’s usually a point midway through most initial superhero flicks where the origin story ends and a new episode arises with the already evolved character practicing his heroics until confronted by the ultimate enemy (who is also generally introduced at this midway point). Man of Steel is non-traditional, then, as the entire movie focuses on the evolution of Kal-El. 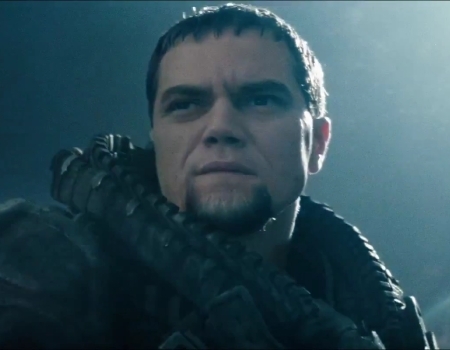 General Zod, the film’s warmongering villain portrayed by the wonderfully maniacal Michael Shannon, is there from the beginning with the sole purpose of defending Krypton. This may sound like a noble intention, but his means are anything but. The evolution of Kal-El, or Clark Kent to us Earthlings, is paralleled in the “present day” by flashbacks to his past. His relationship with his adoptive father and the sacrifices that were required of him in order to keep his identity secret. Clark is, in Man of Steel, a tragic hero. His heroics and willingness to do anything to protect the human race after everything he’s endured is made incredible and just one more thing that makes this Man of Steel even more super. Henry Cavill as Clark Kent fills the role nicely. He’s a quieter Clark than Christopher Reeve or Brandon Routh and one that really does feel more like the tragic hero that this reboot is trying to present. He’s a man that is carrying the weight of the world on his shoulders and, later, the loss of his entire race. He’s a more stoic Clark and, while fans of the bumbling and insecure Clark of days past might be disappointed, it fits really well. When he dons the suit, though, he is Superman. Adamant that he’s on our side and willing to protect us even when we view him as a threat, this Superman is just as much a boy scout, without being quite as cheesy, as Supermen past. The rest of the cast is pretty excellent as well. 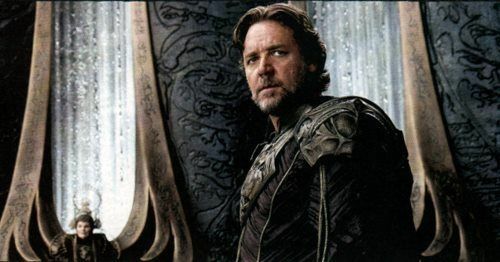 I really wish Russell Crowe would have had more screen time because his Jor-El in the movie’s opening is a character I’d like to get to know better. Though Kal-El’s Earth father, Jonathan Kent, is pretty fantastic as well. Kevin Costner brings a level of sympathetic humanity to the role that I didn’t really expect to see in a comic book movie. I looked forward to his screen time as it was sure to tug at my heartstrings and ground the movie in more than just explosions and heroics. He gave the movie heart and one hell of a performance. 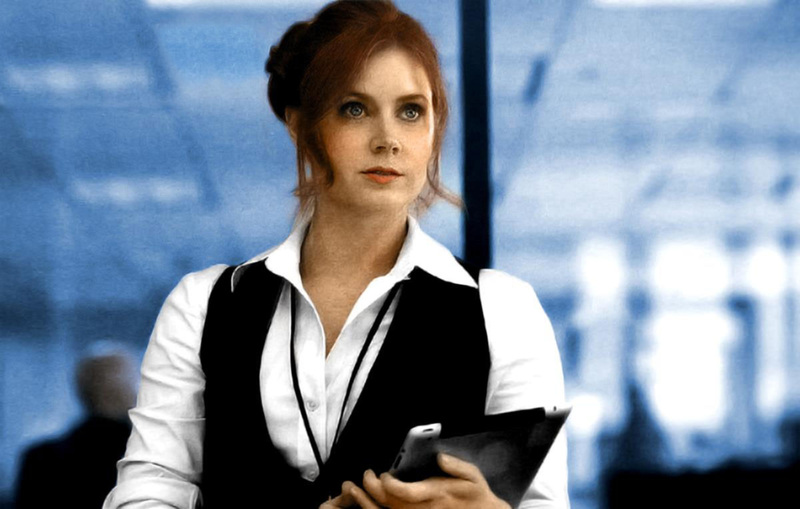 I was also a fan of Amy Adams’ Lois Lane. A much more gutsy and in-your-face reporter than the damsel in distress we’ve seen in past movies. It was great seeing the relationship between Superman and Lois begins in a way that didn’t feel forced or contrived. There’s a connection between the two that is forged in more than just coincidence and the dialogue between Superman and Lois emphasizes her as his link to humanity beyond his adoptive parents. Action abounds in Man of Steel as well. Summer blockbuster fans will not be disappointed as with all the grittiness and newfound emotion of this Superman reboot, there’s still plenty of over-the-top action. The better part of the film’s last half hour is just ridiculous with fast-paced, superpowered fights and cutting-edge special effects that, for the most part, look great. There are times where you can see the obvious CG and it brings you down to let you know you’re still watching a movie, but most times you’ll be too busy enjoying the explosive carnage to really care. It’s a new Superman for a new generation and this Man of Steel will certainly entertain. While it does have its flaws, mostly rooted in trying to tell too much story in 143 minutes, it’s ridiculously entertaining and heartfelt. I walked out of the cinema beyond pleased with my experience—one I’ll gladly sit through again. Man of Steel isn’t perfect, but it can certainly stand proudly alongside the greats of superhero cinema. I heartily recommend checking out this super-powered cinematic treat. 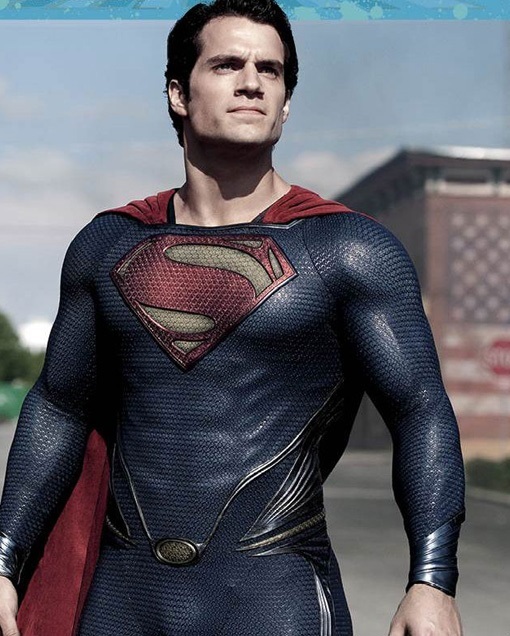 Nokia has given us one last look at Man of Steel before its June 14 premiere. It looks awesome.